They were reportedly struck by a hit-and-run driver. 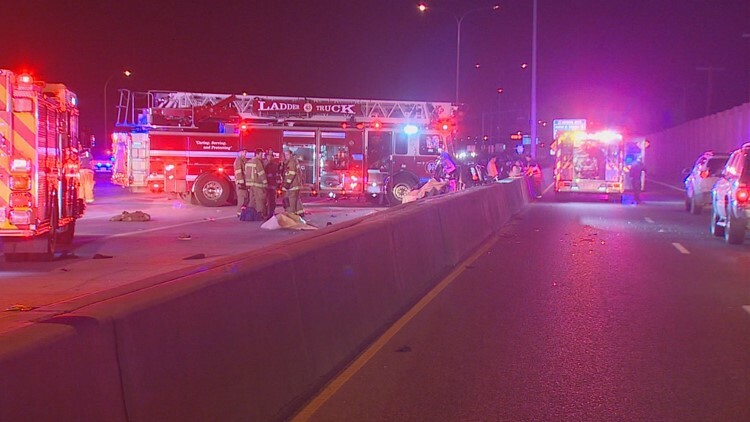 DALLAS — Police are searching for a driver who police say hit and killed three men trying to change a tire on LBJ Freeway at Webb Chapel Road around 3:30 a.m. Sunday morning. Dallas police said the driver of the pickup, Jesus Chavarria-Vasquez, 32, left the scene and faces charges of manslaughter as well as failure to stop and render aid. The men, Hieu Minh Doan, 22, David Nguyen, 23, and Christopher Pham, 23, were standing outside a Toyota RAV-4 SUV when they were struck and killed by a Chevy Silverado pickup. A fourth passenger was sent to the hospital and is in critical condition. The suspect's truck was disabled. He also left behind his injured 12-year-old son. Chavarria-Vasquez also has a black 2008 Cadillac with a Texas license plate, JZS0584. He may also be driving a white work van. If you have any information, please contact Vehicle Crimes Detective Jackson at (214) 671-0009.